Madurai Sri R Rajaram gave the welcome address today. Madurai Sri TN Seshagopalan is presiding over the function and we are soon to be treated to a vocal concert by Madurai Sri GS Mani. Of course Madurai Shanmukhavadivu Subbulakshmi was one of the musicians to make an important contribution to the early fund-raising efforts of the Tyagaraja Vidwat Samajam. In the midst of all these splendid representatives of Madurai, I apologise to you all for not being from Madurai. Speaking of MS Subbulakshmi, today is the day of the martyrdom of Mahatma Gandhi, who once said he’d rather listen to MS speak a verse than anybody else sing it. “Who am I, a mere prime minister before the queen of song?” said Jawaharlal Nehru of the same MS. Yet I realise that I stand here today because I represent Sruti magazine, which has served our performing arts for 30 years, earning the respect of artists and rasikas alike. I am happy that in this period, we have provided extensive coverage to most of our greats in the fields of music and dance, though I just realised we have not brought out a comprehensive issue on the saint composer Tyagaraja. We should soon rectify that lapse. Like the founder of Sruti, N Pattabhi Raman, I too belong to the category of rasikas devoted to Carnatic music, whose bhakti is to the music itself, who like to think of our music as art music, who have the highest respect for the practitioners and composers of this music, without deifying them. This does not prevent us from respecting the sentiments of those to whom the devotional aspects of the music are paramount. I came to my job as Sruti editor as probably an intelligent rasika with kelvi gnanam and good taste, and it has been my constant endeavour to improve my understanding of what makes our music, our musicians, our vaggeyakaras great. It has been a fascinating journey of discovery. Today, I shall try to briefly touch upon some of the insights I have gained of the genius of Tyagaraja through reading some experts on the subject. “Tyagaraja was a person of great humility. He expresses the truths of the Upanishads and the Bhagavad Gita in simple and appealing language. He addresses the Supreme as Rama. The kingdom of God acquired through devotion is the greatest of all treasures: Rama bhakti samrajyamu. “If we have faith in the Divine, there is no need to worry: ma kelara vicharamu. In the Introductory Thesis of the same book, Dr V Raghavan says Tyagaraja is probably the greatest of the great music-makers of south India. He attributes his success to his powerful genius that comprehended the varied excellences of the early masters as well as his own brilliant contemporaries. He compares Tyagaraja with Purandaradasa and Kshetrayya for sheer volume of output; he calls him a second Bhadrachala Ramadasa in his anguished appeals to Rama; he finds him as lyrical as Kshetrayya; in devotion, religious fervour and reformatory zeal, he considers him an equal of Purandaradasa again, and so on and so forth. An article in Issue 41 of Sruti by N.S. Srinivasan, a producer at AIR-Hyderabad and a flautist trained by Mali, titled Tyagaraja As Composer: More Human Than Divine argues that Tyagaraja’s music is a product of great musical intelligence and acumen, not the handiwork of Providence alone. Srinivasan asks if the bhava which is said to be the lifeblood of Tyagaraja’s kritis is sahitya bhava or sangita bhava. He maintains that the musical mood conveys the meaning of a song even when the singer mutilates the lyrics, as in the case of classical musicians who do not know Telugu. They may mispronounce words or split them ridiculously when they sing Tyagaraja’s songs, sometimes unwittingly conveying inappropriate meaning in the process, but the emotional appeal of the music is still intact. Tyagaraja was a Rama bhakta but also a composer par excellence. To call his compositions the products of divine ecstasy is to ascribe his genius to his heart and take away credit from his brilliant mind. Tyagaraja expressed sorrow and turmoil with great musical beauty. He handled ragas rare and common, even vakra ragas, with ease, intimating the raga in a flash and painting its whole picture in the very first line. His kritis show perfect balance between form and structure. To place too much emphasis on his bhakti alone is an injustice to his musical genius. According to his biographer William Jackson, Tyagaraja represents an archetype, a symbol in which opposites unite dynamically. He may be accessible, even popular in his musical outpourings, but he is inwardly a mystic with the power that emanates from self-realisation. His songs, steeped in the essence of over 200 ragas, including some he created, draw from a reservoir of collective memory and wisdom. In turn, he made a lasting impression on the collective memory of south India. No wonder Tyagaraja’s anniversary has been commemorated for 166 years—now in several parts of the world. For this we must thank the thousands of humble devotees who have selflessly contributed time and effort, as well as money, to show their reverence to the saint composer through music. It is easy for musicians, music critics and even sabha secretaries to forget the contribution of the ordinary music lover who not only ensures the success of such events by attending them with fervour, but also plays a role in perpetuating the memory of our forefathers and keeping their art alive. We must be grateful for organisations like the Tyagaraja Vidwat Samajam for their quiet service to the memory of Tyagaraja for several decades. We must cherish the Samajam’s milestones such as the 150th Tyagaraja aradhana in 1997—with Sri M Balamuralikrishna and Sri Semmangudi Srinivasier giving the first and 150th concerts arranged that year—and the Platinum Jubilee of the Samajam in 2004—when 75 concerts were held and 75 elderly, senior vidwans were honoured. Today we also pay homage to the memory of such tireless workers in the cause of the Samajam as Harikatha exponent Mannargudi Sambasiva Bhagavatar (whose centenary has just concluded). Sangita Kalanidhi MS Gopalakrishnan, an erstwhile member of the Board of Trustees of the Samajam, is no more with us, and we must salute his phenomenal contribution to Indian classical music. In conclusion, my pranams to the two vidwans from Madurai among us today. Sri Seshagopalan’s profile in November 1983 was my first major contribution to Sruti magazine. I have happy memories of interacting with him as he was entering the stellar phase of his brilliant career. Sri GS Mani with his wonderful voice is a role model for young vocalists. 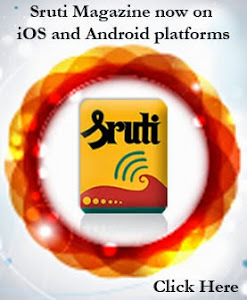 A couple of decades ago, Sruti teamed up with him to offer programmes based on Carnatic music in Tamil films. I look forward to featuring him in Sruti in the near future. I have great pleasure in inaugurating this edition of the Tyagaraja aradhana at the Samajam. Atul Desai, Hindustani musician and music composer for dance passed away on 20 January 2013 at Toronto, Canada. Born on 31 January 1934 in Ahmedabad, Gujarat, Atul Desai learnt Hindustani vocal music as a student of Pandit Omkarnath Thakur at Banaras Hindu University, Varanasi. He distinguished himself as a music composer for dance—especially Kathak. He created music for many productions and choreographic works of the eminent Kathak exponent and guru Kumudini Lakhia of Kadamb, Ahmedabad (See Sruti 131). He also composed music for dance-dramas produced by other institutions including the Shriram Bharatiya Kala Kendra, Delhi. Desai also composed music for individual artists, radio features, telefilms and plays, including several children’s productions. Bhajans and Haveli Sangeet sung by him are available in cassettes and CDs, which have been acclaimed by connoisseurs. 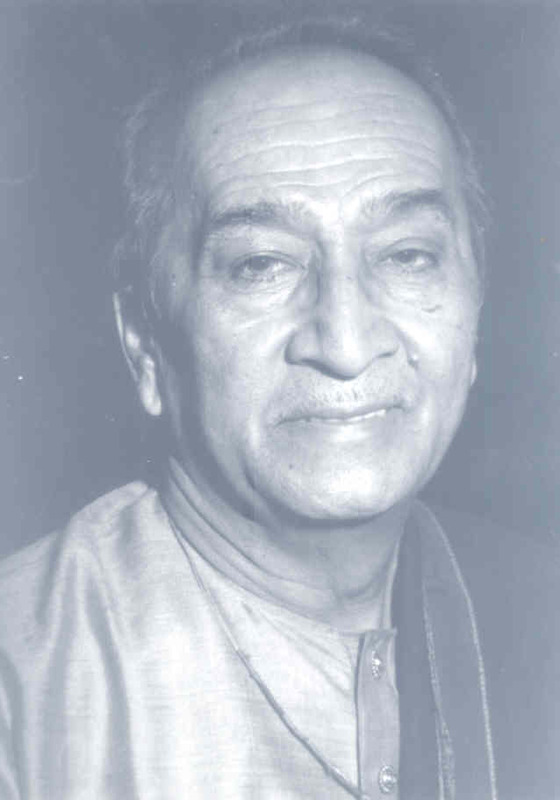 For his contribution to Indian music, Atul Desai was honoured with several prestigious awards including the Gujarat Sangeet Natak Academy Award (1988), and the Central Sangeet Natak Akademi Award (1994). With the passing away of Atul Desai, the world of Indian music has lost an eminent creative artist. A salutary development today is the deluge of good gurus in the scene. In addition to reputed schools like those of the two Sugunas, PSN, Vedavalli, Parur, Lalgudi, and TVG, the contribution from currently active performers like Ravikiran, Sowmya, Sanjay, Vijay Siva, Santhanagopalan, TM Krishna, and Vittal Ramamurthy in grooming talent is laudable, given their demands on time. These trends are creating a large pool of young talent. Some will make the grade as performers and others, as always, can be knowledgeable and critical listeners. Thus the new performer-audience ecosystem is well and truly getting fashioned. New talents need nurturing from a seasoned guru on both the dos and the donts of music. A good guru is supposed to have many facets – prime among them the ability to calibrate the learning process to suit the learning styles and pace of students. Today’s youngsters are clearly learning the ropes quickly. With it come other challenges, especially in determining when they are concert-ready – not just for the one first concert, but for many more. One hears of performers breaking into the scene with an armoury of only 100 kritis. 500 were considered a minimum threshold to receive the debutant cap in the past. There is also a challenge to prepare them for a perpetual learning cycle, even before they get into the performance circuit. Undertrained or poorly crafted talent is as much a blot on the guru as on the disciple. Among the new challenges is the “rapid popularity syndrome”. Concert schedules now come with the guru’s name tagged with the performer, for new performers. With the social media and the general media drooling over the newcomers, some of them seem to achieve celebrity status before their music achieves sustainable excellence. Sabhas may also be getting influenced by the media. Early stardom can be detrimental to the musical growth of the youngsters as their myopic urges and temerity may impede learning. Do they realise that they continue to need the wisdom of their gurus and well-meaning critics to become long term winners? The previous generations of musicians, barring a few, had the humility and reverence to be open to such influences. Do the new generation of students have this attitude ingrained in them? They come in all forms, shapes and characters. They are the backbone to this unique cultural extravaganza. They are the main sponsors, morally speaking. The thousands of rasikas of the December festival in Chennai have never been titled for their unstinting support. To me they offer a fascinating kaleidoscope for a lighthearted chat. Let us begin with the haves and the have-nots. The festival draws people from all economic layers. You have the have-nots who are the main sponsors of auto-terrorism. The auto rickshaw industry finds its best preys in this part of the year. Traffic after 8 PM flows in all directions. As the wallets wane in thickness, these have-not rasikas are not deterred from their appointment with music. The haves, on the other hand, are more conspicuous – not just in the latest BMWs that they arrive in, but in every other way. They probably even plan their arrivals (to be noticed in their new Nalli or Kumaran saree or some striking jewellery), they carry a sense of ‘ownership right’ at the Sabhas, and do not flinch at any opportunity to be seen or heard (talking, that is!). For many, this is the equivalent of the Cannes film festival. Many of them hold ancestral rights to their seats and have to thank their forefathers for the good old partnership between musicians and rich patrons. Knowledge of music has never been an important criterion for their presence in concerts. The annual social calling is something they are not going to miss. As with most things in life, there is an 80:20 rule here. Curiously, the 20 % are the more knowledgeable! The rest are either beginners or to put it a little cruelly, ‘lay persons’. The fortunate former group consists of part-time musicians, students, ‘mamis’ with good ‘gnanam’ (some of whom, but for unfair in-laws, would have made it big), chroniclers who attend a blizzard of concerts, very often of their favourite musicians, and can rattle off a lot of trivia – the RTP of a particular concert, or the names of the accompanists for a Mylapore Fine Arts concert nine or ten years ago, for example. There are also the high ‘intensity’ ones, who would rather prefer to hear an XYZpriya or a PQRgowlai to a Kambhoji or Todi in the RTP – their mission is to gauge the technical skills of musicians! Some of them are also ‘invisible’ judges – the rasika world often consults them. Talam strikers form another group, me included sometimes, even if we are daunted by complex ‘nadais’ in the Pallavi. Then there are people whom I call the co-singers, who can’t resist the temptation to start their vocal support from the audience chambers as the performers pick-up a Nagumomu or Chakkani raja. Narada Gana Sabha’s fine print at the back of tickets warning them to desist from this does not catch their attention. The 80 % crowd, the know-nots, obviously come in wider varieties. Many of them seem to have a strong leash originating at the canteen and carry profound knowledge of the relative canteen merits and specials. What’s amazing is the number of different activities these people can do while they are still part of the audience – reading The Hindu, clearing sleep backlog, conversations on subjects outside music, engaging in raga quizzes (they may know only the questions), sms-ing! Some clearly do not want to hide their duress. All musicians I am sure still love this 80 % lot, as without them, there is no ‘grandeur’ to the concerts – the more the merrier. For their part, the musicians also pack some friendly ‘diet’ in their song list – Banturiti, Krishna nee begane baro etc., and the ever growing tukkada course, not to alienate this crowd. It is rare to find kids – there are only two kinds – tiny tots below five, who have none to keep them company, and the young teenage students – who are prodded every few minutes to identify ragams, and to ‘put’ talam, amidst their more germane interest in finishing the Harry Potter 3 or 4 or 5 book or the angry bird game. There are also couples and singles – some of the singles are ageless ladies and the couples seem determined to stay together through joy and grief (you never know which way the concert will go!). I am at a loss as to how to classify the ‘movers and shakers’ – some seem to do the more natural ‘appreciative’ nod, but some others have a ‘rap-like’ urge to gyrate. ‘Part-time audience’ is a funny term by itself – not if you consider the strayers into Srinivasa Sastry Hall from other errands around the busy Luz area! Or those drawn in to halls for the air-conditioning comfort. There are also players outside the ring – these are pick-up relatives – including macho young men, possibly on a winter break from US colleges, slyly seeking valuable introductions and the NRI listener whose canteen chatter is sprinkled with California, New Jersey and lately, Singapore topics. Wimbledon champions laud the crowd in their acceptance speech. The rasika community of Chennai is, however, largely unsung (!). Their passivity is not sufficient reason to neglect them. Even if they are considered not worthy of a title, they do deserve being written about. Not perhaps since the days of Veena S. Balachandar has a leading Carnatic musician traversed a path as unusual. Bombay Jayashri was all of 28 when she began a truly full-fledged performing career in Carnatic music. 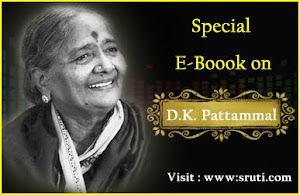 Though introduced in early childhood to Carnatic music, thanks to both her parents being music teachers, she grew up in cosmopolitan Bombay, revelling in the singing of bhajan-s and film music at functions small and large all over Maharashtra and Gujarat, learning Hindustani classical music, ‘geet’, film songs, and a variety of ‘light music’ genres. Through childhood and college, she almost kept her training in Carnatic music a secret. She had a ball singing jingles in several languages extolling the wonderful attributes of Bournvita, Mealmaker and Rexona, solo or in duets. Throughout this period, she was also learning Carnatic music from the rigorous school of T.R. Balamani, a renowned teacher of Bombay, who also taught the likes of Shankar Mahadevan. She loved the film songs of Rafi, Lata and Asha, and continues unabashedly to do so, despite stardom in Carnatic music. Mehdi Hasan and Farida Khanum are equally her favourites. She attributes her pitch perfect voice to her training in Hindustani music and her soulful articulation to her eclectic musical background. Her assimilation of such a varied range of musical ideas has ensured the success of her theme-based albums like Vaatsalyam featuring lullabies, or Agni showcasing Subramania Bharati’s fiery lyrics. She sees no conflict between her concert career and the film songs she has sung over the years. She rarely performs in Chennai these days. Her December season concerts here are now limited to seven – to be reduced by one more next year, according to an insider. Sruti suddham and a contemplative quality mark her singing. A noticeable feature of her concerts is the superior aesthetics of her singing. In the past – especially after she resurfaced on the kutcheri platform after a four-year hiatus spent in drinking deep of the Lalgudi bani of music under violin maestro Jayaraman’s tutelage – she was accused of sweet, rather than deep music, crooning, and even singing “like the violin” in a soft voice. Today her stillness and sonorous voice draw comparisons with M.S. Subbulakshmi, though the majestic voice sometimes seems to lose its vitality as the concert progresses. Her stage presence is dignity personified. No flailing about of arms, no facial mannerisms mar her style, though by her own admission, it needed a young teacher back in her teens to make her look into the mirror for her to achieve such poise. She often seems completely lost in the sheer beauty of the raga music she presents. She is firmly convinced that the musician can transmit her own deep-felt emotions to the rasika in the audience, no matter what expectation brought him there in the first place. Jayashri is undoubtedly one of the leading lights of Carnatic music today, with a considerable fan following. She has also taken upon herself the task of propagating the music among young Indians in India and abroad. In partnership with T.M. Krishna she is involved in initiatives towards creating future rasika-s as well as future musicians with a keen sense of history and tradition. The organisation they founded, Matrka, brought out a coffee table book, Voices Within, a tribute to seven past masters of Carnatic music, and runs an annual event entitled Svanubhava, introducing to young students the great music of the past through veteran musicians reliving for them the art of their guru-s and forgotten traditions. 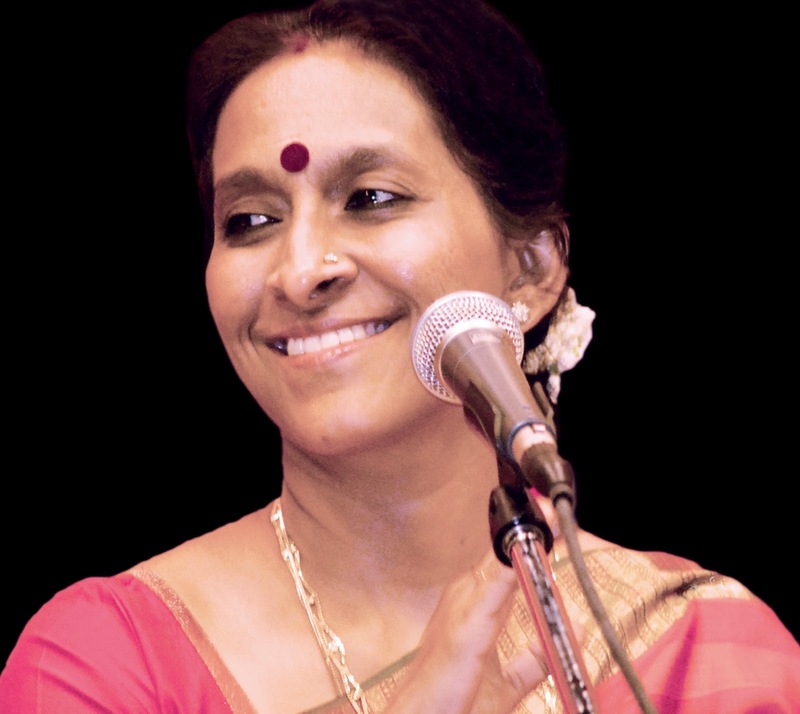 Jayashri appears to have arrived at an important juncture of her career, on the verge of a change of gears, a phase in which her voice should gain greater vibrancy and her music profundity, and her inward journey explore further the depths of the great legacy she has inherited from the giants of Carnatic music. The atmosphere is electric when she ascends the concert stage, and she straightaway casts a spell with her perfectly sruti-aligned voice. It is not always easy to live up to the high expectations of her audiences, and it must take a superhuman effort to satisfy them, though she is known to sing for herself, not to the gallery. Many feel she has the potential to become the top woman singer in Carnatic music, a potential she can fulfil if she reaches deeper into her own reservoir of talent – fearlessly, tirelessly. One of Jayashri’s greatest assets has been her closely-knit, supportive family. Her father, N.N. Subramaniam was a keen amateur singer and teacher, who did not live to see her become a successful vocalist. It was her mother’s dream that she has lived out. Her two brothers Balarajan and Sabesh are strong pillars of support. (“They will drop everything and run to her if she needs them,” says sister-in-law Janaki Sabesh who combines a successful career marketing digital cinema with acting in films, and is a trained vocalist herself). Both brothers have learnt enough Carnatic music to critique and advise Jayashri. Both are company executives and pursue music in their spare time, Sabesh carrying on the family tradition of music teaching. Jayashri’s husband Ramnath, a finance professional, is a genuine lover of music who enjoys singing Hindi and Bengali film songs. The extended family meets every year at some holiday spot; both during these vacations and at every family get-together, planned or spontaneous, there is much music, from film to classical, and there is much discussion of music as well. Janaki has also been associated with Margazhi Ragam, the offbeat film of a Carnatic music concert featuring T.M. Krishna and Jayashri, through Real Image, the company she works for. The behind the scenes person most responsible for Jayashri’s growth as a musician has been her mother Seetha. Forced by her husband’s premature death to teach music for a living, she discovered when Jayashri was barely three, that she was gifted, from the way she picked up the nuances of the Ranjani varnam while she was teaching older children the song in the next room. Seetha’s tastes in music are unusually eclectic and she believed in exposing Jayashri to a wide range of musical influences. Whenever she heard a good musician or teacher, she made sure Jayashri had a chance to learn from him or her. “Actually, it was the teachers who were keen on teaching a child as talented as Jayashri,” she says. That is how Jayashri came to learn Hindustani music from Mahavir Jaipurwale and Gautam Mukherjee, Carnatic music from T.R. 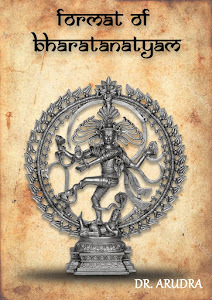 Balamani and Bharatanatyam from guru Kalyanasundaram. The mother admired the great Hindi film singers of yesteryear; no wonder her children, including the boys, won prizes in many a light music competition. Jayashri’s brother S. Sabesh, himself an accomplished amateur singer and teacher, says, “Earlier Jayashri was a fearless, uninhibited explorer of manodharma, but in recent years she seems hampered by fear of criticism. Her strengths are many, but she has no obvious weaknesses, though I sometimes feel she could have done a particular raga greater justice, stopping short of the listener’s expectations, a charge that can be laid at any musician’s doorstep.” Sabesh and his elder brother Balarajan are both solid pillars of support, immensely proud of Jayashri’s accomplishments, but not known to shower praises on her after her concerts. Both SVK and Gowri Ramnarayan, as well as other critics, have at other times been critical of what they saw as weaknesses or flaws in Jayashri’s music, especially her inadequate vocalisation in some concerts, but most of them have noticed substantial growth in all aspects of her music over the years. Jayashri is a picture of confidence as a musician. She has a healthy self-esteem that enables her to take criticism in her stride. “Once you become a performing musician, you should be prepared to face and accept criticism,” she recently told a group of young journalism students. (She bowled them over comprehensively with her candour and willingness to share). For someone of immense pride in her art, she is also a humble student, willing to surrender to the teacher. Her attitude to criticism is best exemplified by an incident some ten years ago, when she sought help from a reviewer – who had strongly criticized one of her concerts – to make some corrections, because she believed it was a case of constructive criticism. People who know Jayashri personally describe her as a good human being, a kind and helpful one. She can be a thoughtful friend, relative or neighbour, with no celebrity airs about her, and she can be generous with her time as the journalism students recently found out, but she is completely professional when it comes to work. She can be reclusive, unavailable to friends and rasika-s, “an enigma” as a friend put it, especially while preparing for a concert. Don’t expect her to attend a feast the day before a concert, no matter how close you may be to her. That is the time she needs to practise, meditate, rest. She needs time to herself, to reach towards her ultimate musical goals. “The best of Jayashri is yet to come,” her mother told us. A happy prospect. BOMBAY JAYASHRI in conversation with V. RAMNARAYAN. Who gave you your first music lessons? My parents. My father, who was working for a company, unfailingly woke up at four every morning and did sadhakam, before leaving for work. My mother was known as Paattu Mami. Both Appa and she taught music, and there were classes almost the whole day at home, and I was around, learning by osmosis. My grandfathers – Narayana Iyer and Viswanatha Iyer – were connoisseurs of music. Viswanatha Iyer, my maternal grandfather, learnt from GNB, who was a friend of his. My early music lessons were from my father. I clearly remember the four songs he taught me: Santanagopalakrishnam, a kriti in Khamas, the Ranjani varnam, also Ranjani niranjani in the same raga, and Seetapatey, another Khamas kriti. My father died when I was very young, and Amma had to teach music for a living. When I was nine or ten, my mother thought it was time for someone else to keep a vigilant watch on my music learning, introduce some discipline to it. She sent me to T.R. Balamani, a friend and well known teacher at Matunga. Balamani Mami was not really a performer but a devoted teacher. To which school or bani did Balamani belong? She was born in a small village in Kerala. She went to school in Tripunitura, near Kochi, and learnt music there. When she moved to Chennai, she joined the Government College of Music as a student of Carnatic music. There her guru-s included Musiri Subramania Iyer, Brinda and later T.K. Govinda Rao. She faithfully followed her guru-s’ teaching and her style was an amalgam of all their styles. Was she a strict teacher? Yes. She did not approve of any other music like film music or north Indian music. But she was very loving, treated me like her own child. There was always idli or something ready for me to eat in Mami’s kitchen. It was a tiny flat, like my parents’ flat and most other middle class homes in Bombay. When were these classes, during the week or weekends, and how far was your teacher’s home? The classes were held in the afternoons. My school had a shift system and my classes there were in the morning. I took a bus from Chembur to Matunga where Mami lived. Initially, my mother’s friend walked me to the bus stop, but later I went on my own. Her daughter too was Balamani Mami’s student for a while. Did you sing in the bus? I must have. I remember that once the man next to me in the bus was singing a Carnatic kriti. And I asked him how he knew Carnatic music. He gave me some reply and continued to sing. It didn’t occur to him to ask me how I knew Carnatic music. Did your teacher take you to concerts? I hardly attended any concert in Mumbai. I remember only five concerts – M.S. Subbulakshmi, M.D. Ramanathan, M.L. Vasanthakumari, Nedunuri and Chitti Babu, during the late 1970s. Balamani Mami was constantly preparing me and her other students to compete in a number of music competitions. It was very important for her that her students won prizes. And I invariably managed to do that. She was responsible for giving me a strong foundation and making me kind of concert-ready, capable of doing niraval, swaraprastara, even ragam-tanam-pallavi. I sang the school prayer almost everyday. Another girl shared my burden of the prayer song through the years at school. For some reason, I kept my Carnatic music training a closely guarded secret, perhaps because my school, St. Anthony’s, a convent school, was rather cosmopolitan, with many Catholic students. The students spoke a variety of languages, Marathi, Gujarati, Bengali and so on. I don’t remember too many Tamil friends, perhaps because I was shy about my Carnatic music training and didn’t want my schoolmates to know. I tried my hand at dance and drama too! Apart from coordinating music in plays staged in school, I managed to play small roles in them. I took part in the Campa Cola and Bournvita competitions, always winning prizes. No particular genre was prescribed in these competitions. The songs could be broadly classified as light music. Till class ten I sang Lata Mangeshkar and Asha Bhosle songs. My favourite film song was Satyam Shivam Sundaram and I won many prizes with it. I loved Asha Bhosle’s songs in Hindi, Marathi and so on. I practised film songs as diligently as I did classical music. Did you continue to sing in college? When I went to college – R.A. Poddar College at Matunga – a group of four of us participated in all kinds of events in Mumbai – Navaratri, Ganesa Chaturthi – with guitar, violin and tabla. We sang film songs of Asha, Lata, Rafi and Mukesh. In time, the group really grew large, with some 20 members. We started traveling all over Maharashtra and Gujarat, even buying a bus to cart us around. All this led to opportunities to sing for advertisement jingles. I enjoyed doing them in the Bombay scenario, as most of the songs were done in many languages and I was comfortable with many – Hindi, Tamil, Malayalam, Bengali, Marathi. An ad would first be recorded in Hindi and then the other language versions. The lyrics would have to be fitted to the tune. And for TV ads, we had to do lip sync as well. We had language coaches ensuring we got it right in all the languages. We jingle singers were one big happy family, and I thought it was an incredibly fashionable thing to do. Almost every well known singer in films was at one time a singer of jingles. There must have been interesting experiences during this period. One incident involved Hindustani flautist Ronu Majumdar, a childhood friend of mine, who learnt music along with me. I hadn’t seen him for a while when I ran into him as I was entering a recording studio and he was leaving it. I think he was there to play the flute for a film song being recorded there. “What are you doing here?” he asked me in surprise. When I told him, he said, “What! You are singing jingles?” in a rather dismissive tone. Here I was, proud that I was the jingle queen, singing songs in so many languages, and my friend was making light of it. I made a silent vow to show him one day how good I was – in a pure spirit of friendly rivalry – and years later we came together in thoroughly enjoyable jugalbandi-s. When I eventually took the plunge into a career in Carnatic music, the choice was not easy. In jingles, the song was my own, no one else sang it, and in classical music, I’d be singing songs sung by thousands of musicians. What was it I could bring to them that all those singers did not? Such was the thinking of my young mind then! What were the other Bombay influences that went into the making of Jayashri the musician? I learnt dance from guru Kalyanasundaram of Rajarajeswari Kala Mandir for seven years. It was a big occasion when our guru asked us to perform abhinaya at the school. One day, I was eagerly looking forward to joining the group, when he said, “Jayashri, you sing today,” letting the other students dance. I was disappointed, but to this day haven’t found out whether I danced badly or sang so well he had to ask me to sing. The training enabled me to appreciate singing for dance as different from concert singing. I learnt to appreciate dance. Did you learn Hindustani music? My mother made me learn any and every kind of music around, if it was good music. Every time she heard someone good at a Navaratri festival or Ganesa Chaturthi, she found out about the musician and made me learn from him or her. Hemant Kumar’s nephew, Gautam Mukherjee was staying in our colony, perhaps composing music for a Hindi film. He had moved from Calcutta to Bombay for the duration of the project. My mother heard him sing at a festival and took me to him to learn music. He taught me many geet and sang beautifully, but I cannot forget my first meeting with him. He was just 22 and I a mere 14. He was sitting there with harmonium at full bellow. He was not singing, not even humming, but kept staring at me. Then he asked me, “Want to learn music?” skeptical of this Tamil girl wanting to learn Hindustani songs. After I sang something for him, he asked me unsmilingly, “Have you ever looked at yourself in the mirror?” He continued in his stern manner, “Go home and sit before a large mirror and practise singing for two hours.” I was tempted to ask him, “Why should I do that? I’m not dancing, am I?” but did not have the courage. He asked me to come back after a couple of weeks. When I went back, he asked: “What did you see in the mirror? Anything good? You shake your head, twitch your nose, make faces, look exactly like a monkey. And you make such complicated gestures. You are not singing anything complicated, anyway.” Tears welled up in my eyes, and soon I started crying loudly. I told my mother I did not want to go back. I was particularly hurt as he was a young man. It would have been OK if he had been a 60-year-old. Amma sent me back to him. Looking back, I am so grateful to him. He taught me stage presence and the visual aesthetics of singing. I learnt Hindustani classical music for about eight years from Pandit Mahavirprasad Jaipurwale and his brothers. During this time I learnt several songs in Gujarati, and also saw Gujarati dance ballets at my guru’s place. Did you perform Hindustani music? No, I didn’t learn enough to perform Hindustani music, but learning it has had a positive influence over me. It has broadened my understanding of music. Did you enjoy learning music or was it an imposition? I have always loved music. What I objected to and occasionally rebelled against was the constant practice for competitions, and having to display my prowess before visitors. I always wonder why a musician has to do that, unlike an accountant or a doctor. They are not asked to show off their knowledge and expertise. The need to constantly compete in contests and win prizes sometimes got on my nerves, too, but the music itself was something I always loved. All this hectic activity must have affected your studies? Oh yes, I constantly had to bunk college to attend music classes, competitions and recordings. My college was very helpful. I was exempted from strict attendance, and my teachers accommodated me when I had to miss tests. They were all very fond of me, kind to me, though I did not have a great academic record, thanks to my musical activities. Yes, I have a B.Com degree! When was your first Carnatic music concert? My first Carnatic music concert, if you could call it that, was at a Ganesa Chaturthi festival in Chembur in 1982, when I was almost 18. My mother believed that my career should get off to an auspicious start and what could be a better start than receiving blessings from Ganesa? Was it the same year that you sang for the first time in Madras? No, that was much later. In 1982, I accompanied a family that attended the December season concerts in Madras year after year. I stayed with an uncle and went to the Music Academy everyday and listened to the morning and afternoon concerts. I thoroughly enjoyed the experience, though I was overawed by the apparent knowledge levels of the mamas and mamis in the audience, so quick to recognise the raga-s on offer. It was only in 1987 that I first sang in Madras. I took part in the Music Academy competitions in various categories and won a number of prizes. My mother was really inspired by that, and the seeds of the idea of shifting to Madras were sown then: “If Jayashri can do so well living in Bombay, surely she’ll do better if based in Madras,” she thought. When we came again in 1989, accompanied by Balamani Mami, I won prizes in six categories of the Music Academy competitions. I remember that R.K. Shriram Kumar competed as a vocalist, too. Did you go to Lalgudi’s place the next morning? Yes, I did. This was a turning point in my music career. Initially, I thought I would learn music from him for about a week! But I stayed on for a month, then two months, and finally several months. I was still staying with my uncle. My family, especially my mother, was worried that I was passing up chances of performing, and concentrating solely on learning. Initially I wondered if he was just being nice to me, but soon realised he was not the kind of man to praise someone just to make that person feel happy. I had always been very fond of his sensitive violin playing, his rasa-soaked music. I was aware of his rich lineage, the great Lalgudi bani. He introduced me to a different dimension of music. Under his guidance I began to appreciate songs, their meaning. Often a whole class would be spent explaining a single word of a song. He would even indicate which songs would suit a particular kind of voice. Even at this juncture I never thought of pursuing music with the intention of performing. I had no such ambition. Ironically Lalgudi Sir transformed me into a singer with what it takes to be a professional musician, but I did not perform for nearly four years. I realised what it meant to lose yourself in music. Towards the end of 1992. Soon, more concert opportunities came. Was your music different now, as a result of the Lalgudi impact? Yes, of course. I was very influenced by his violin music. The way I sang now was vastly different from my earlier style. I had to face the criticism that my singing seemed to focus more on vocalising the subtle nuances that made Lalgudi Sir’s violin playing special, and that I was no longer giving full vent to my voice. That was only a phase in your musical career. Yes, I am now a different singer. By 1993, I had stopped going to my guru on a daily basis, though he continues to be my guru and until recently was able to teach. The way I sang during that phase – and much of the criticism was fair – was my own doing. It was my fault that I was unable to fathom the depth of my guru’s teaching, that I was interpreting it on a superficial level. In time, with serious introspection, I came to understand his intent – that of imparting sensitivity and intense internalisation of both raga and content. Today, I believe my music reflects the best of my varied upbringing in greater measure than before. You are known for your sruti suddham. Is it natural or acquired through hard work? Natural ability is no doubt a part of it. But one does work hard at it. I am inspired by some great voices – like Mohammad Rafi, Lata Mangeshkar, Asha Bhosle, Mehdi Hasan. I listened to them all at least once in two days. I used to listen to the past masters of Carnatic music a lot, but not so much now. Do you do any voice training? I do yoga and pranayama regularly, and that helps my voice, I believe. Of course, I try to take care of my voice, but avoiding ice cream and cold drinks doesn’t seem to prevent sore throats and colds! You have expanded your repertoire substantially over the years, and seem to have diligently worked at perfecting the enunciation of lyrics. How much does the devotional content of Carnatic music matter to you? I have great bhakti for the raga, for the music, even more than the meaning of the verses. After one of my concerts, a listener came up to me and said that she had enjoyed my rendering of Krishna nee begane and that she could visualise Lord Krishna. She was certain that I was singing with the image of Krishna in mind. I told her that I was focusing only on the beauty of the raga Yamunakalyani. This has been interpreted as my lack of belief in God. All I meant was that when I sing, it is the beauty of the raga that overwhelms me. It is rarely that you think of Krishna’s peacock feather or his butter-stealing antics, while singing on stage. This can easily be demonstrated by alternately speaking the lines and singing them. If I merely utter the words, Krishna nee begane baro, rather than sing them, do you feel any bhakti? Is it the raga or the verse that inspires bhakti? You have been involved in jugalbandi and fusion efforts. Ronu Majumdar and I first met in Pandit Jaipurwale’s music class. Even then, he composed a lot. He’d make me sing those pieces too! I sang them in small chamber recitals during Ganesa Chaturthi or Dussehra. We also did a few recordings for local circulation. My whole family became Ronu’s fans. You could listen to his Abhogi forever. He’d play the flute while I sang Carnatic kriti-s, exploring Khamas, Andolika or Mohanakalyani in his own way. Which is why, when we came together on the concert platform decades later, the fusion really worked. We knew each other’s music thoroughly. I have also collaborated with Shubha Mudgal. It was a great experience singing for Leela Samson’s Navarasa. It was a revelation for me; my early dance training helped, no doubt. She was very clear about what kind of music she wanted and could bring out the best in me. Another memorable experience has been singing with a Finnish orchestra at Helsinki, thanks to my friend Eero Hameenniemi. We have had two such concerts so far. Eero has been coming to Chennai for several years, and appreciates Carnatic music. He has also studied ancient Tamil literature, and I sang verses from Sangam literature with the Avanti Chamber Orchestra to music Eero had composed. T.M. Krishna and you have been involved in collaborative efforts like Voices Within and Svanubhava. What has impelled you to venture into these projects? It is important to give back to Carnatic music, which has given us so much. Among other things, we are also ensuring a future constituency of rasika-s and a link between past, present and future. ‘What do they know of music?